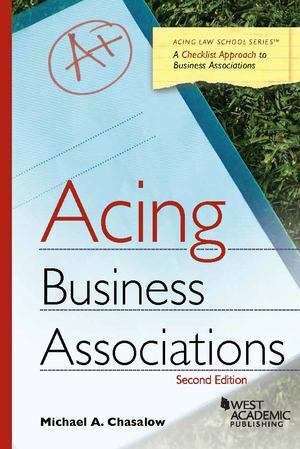 This book provides a clear and concise explanation of corporations, agency and partnership, and the other subjects addressed in most Business Associations courses. To accompany its explanations, the guide utilizes a checklist format to lead students through questions they need to ask and issues they need to address, to fully evaluate the agency, partnership or corporations, problems they will face when studying this subject. It also synthesizes the material in a way that most students are unable to do on their own, and organizes the critical issues, presenting a clear guide to analyze business associations issues that students can draw upon when writing their exams. Other study aids provide sample problems, but this book offers a systematic approach to problem solving.